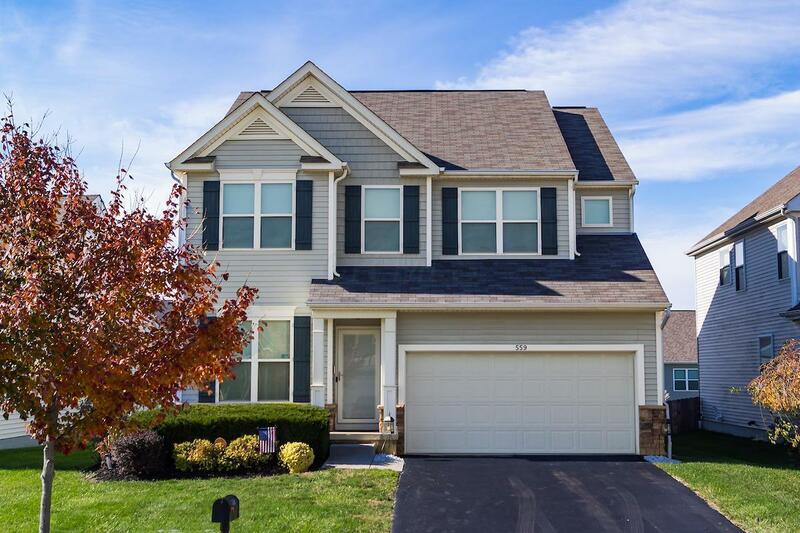 PRISTINE M/I Built 5 Level Split, 4 bedroom, 2.5 bath, 2 car attached garage with 2,720 sqft located in Cedar Run subdivision. This lovely home provides an open kitchen with oversized island w/ breakfast bar, eat in area, can recess lighting, and stainless steel appliances. Beautiful natural light pours through clerestory windows into a spacious great room w/ 20 ft ceilings and gas fireplace. Owner's Suite features large bedroom w/ vaulted ceiling, large tub, stand-up shower, double sinks, and walk-in closet. Three additional bedrooms on 3rd level w/ full hallway bath, laundry room, and loft overlooking the great room. Finished Lower Level provides a family room or space for entertaining. Huge basement for tons of storage and rec/exercise room! Freshly Painted and Move In Ready!